Ok, so most of you should know by now, either by watching the broadcast or reading Scott's recap, that Da'Vonne was evicted from the BB house and Vanessa and Austin are the current dual HOH's. Things have been interesting on the feeds tonight as people scramble to try and figure out where Vanessa and Austin's heads are at and what they might do. Once again, I may have missed a few things since my feeds are still being choppy and I'm having to restart them constantly. While the house guests waited for their DR sessions and HOH reveal, it became clear quite quickly that Vanessa and Austin are planning on targeting Jeff. (and the angels sing) I'm not entirely certain why, since the last I saw Austin and Jeff were very buddy/buddy (from Austin's perspective) but I think it has to do with Liz and Jeff's creepy behaviour. Plus they've noticed he's in with a lot of the others. Audrey was Audrey for a good portion of the night...She spent some time chatting with John, mostly about non game related topics. She then had a conversation with Van/Aus where she did her usual poke/plant seeds. Vanessa basically told her she was not the target and that she should lay low. We'll see how well that advice lands. Jeff is feeling some of the tension I think, as he's busy running around talking at people. He had a bit of a spat with Jackie in the storage room, telling her they need to keep their distance and not talk to each other. It was a bit funny as they discussed this because Clay walked in and saw them talking to one another. Jeff told Jackie she wasn't a problem for his game, she was a liability. There was a comment by Jackie regarding now doubting Da'Vonne's reveal/insistence of the TwinTwist, which almost caused me to do a *facepalm*....more on that later. After the usual oooh'ing and aahhh'ing over photos and goodies, people scattered. Austin, Vanessa, Clay, Shelli and Liz (who was Julia at the time) discussed trying to snowball the other houseguests into doubting the entire TwinTwist. I scoffed at the idea at first...until I heard Jackie's comment I mentioned above. *IF* they were able to pull that off, I think we may be able to dub the #bb17 cast as the dumbest cast in history. The twins then did a switch and we got the real Liz back. Lots of getting her up to speed occurred. More re-iterations of how Jeff is the target. Liz mentioned she would also like James gone, but she understands that Jeff needs to go too. A conversation between her and Austin explaining who was who during what events and house happenings. Austin was one of the last to find out, but now claims he knew something was up. Vanessa, Shelli and Liz have an extended conversation about how Liz and Julia can improve their game/switching out so that the other house guests stop noticing the differences. Liz mentions that John did notice something about Julia's teeth. Liz doesn't want to interact or talk too much with anyone now since she's freaked out that they'll notice. She's decided to sleep upstairs in the HOH room because that's totally inconspicuous. They also talk about how they don't fully trust Steve and John, especially Liz. Both Shelli and Vanessa try to say they do, at least enough to try and pull them in for side alliances, but Liz isn't comfortable with that. 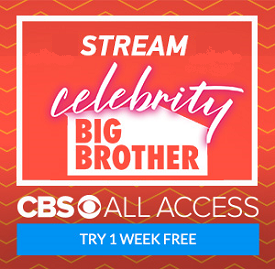 Have you thought about watching the feeds on your television? There isn't the breakup problem.